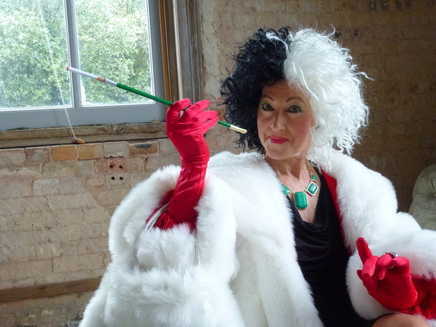 Art Deco and The Great Gatsby era. 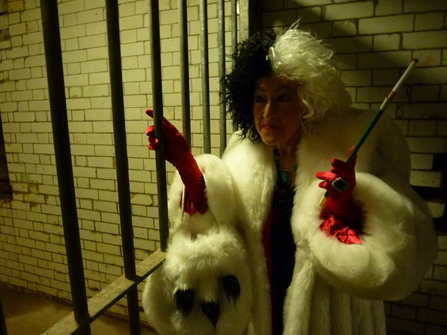 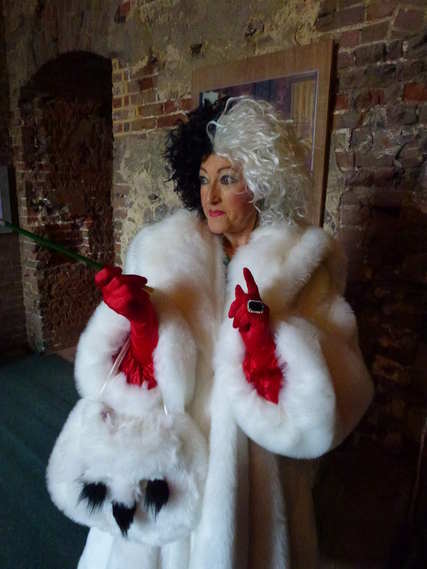 Wearing the wonderful white fur coat and bag, glittering green jewels and distinctive black and white wig...Cruella will bring this 'wicked character' from '101 Dalmatians' to life for your guests delight! 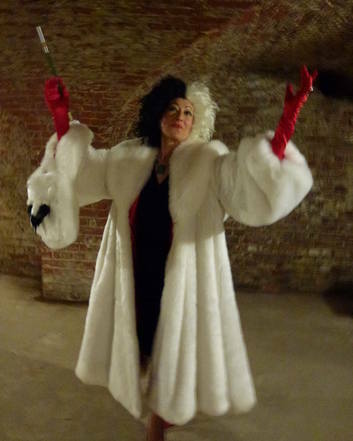 'Cruella' is perfect for Family Events and Fun days; Festivals; Exhibitions; Corporate Events. 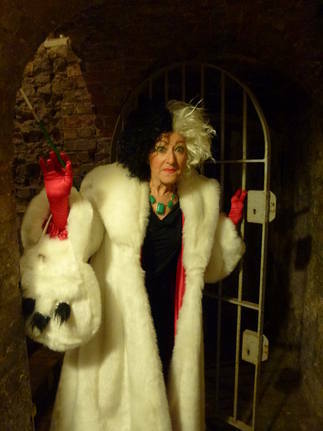 Take a look at the video and you will see what Cruella is capable of.....!